This Jeep is so sharp, even Mr. Boruff has driven it as a demo! The Jeep Grand Cherokee is the way to travel in an SUV. 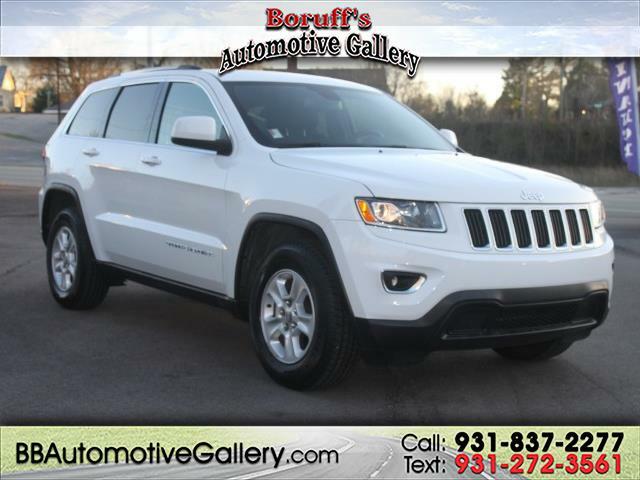 This Jeep has a powerful V6 engine to get you where you need to go, plus a smooth automatic transmission! This Jeep is an Laredo edition which includes features like a power adjustable drivers seat for maximum comfort, power windows and locks, power heated side view mirrors, media ports for aux, usb, and sd cards for viewing pictures! Eco and Sport driving modes and the ever popular Uconnect Stereo System with premium surround sound plus adaptive cruise control. You have got to come by and try this one out!